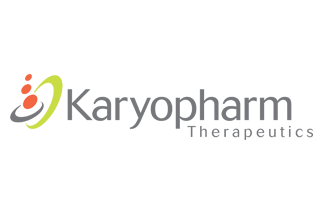 Karyopharm Therapeutics got a warm welcome from investors last night. Bank of America Merrill Lynch, Leerink Swann, JMP Securities, and Oppenheimer & Co. are Karyopharm’s underwriters. They have a 30-day option to buy another 1,020,000 shares at the IPO price. Karyopharm’s biggest shareholders prior to the IPO were two investment vehicles controlled by private investors Marcin Czernik, Andreas Hadjimichael, and Amalia Hadjimichael: Chione Ltd., (46.8 percent of Karyopharm’s stock), and Plio Ltd. (14.6 percent). Other shareholders include Foresite Capital (9.42 percent) and Delphi Ventures (8.17 percent). The company had already raised about $100 million from its investors before the IPO. Karyopharm is using the IPO cash, as well as a roughly $50 million raise it just put together in May, to push its lead drug, known as selinexor, into a at least two—and potentially four—mid-stage clinical trials next year. Selinexor is supposed to work by protecting the body’s natural tumor-suppressing proteins, which prevent healthy peoples’ cells from becoming cancerous. Karyopharm is developing a group of drugs designed to bind to a protein called CRM1, which carries the tumor fighters out of the nucleus of the cell in patients with cancer. By binding with CRM1, the drug is supposed to keep the anti-cancer proteins in the nucleus. Karyopharm is developing selinexor and other drugs that use this approach to treat cancers in both humans and dogs, and also to go after autoimmune disorders like multiple sclerosis. Those efforts, however, are in their early stages. Selinexor has been tested in more than 170 patients with a variety of blood cancers, but that work has been done in three early-stage trials, which were designed to test the drug’s tolerability and whether it could keep tumor suppressing proteins in the nucleus. The drug will really show if it works in the two Phase 2/3 clinical trials—studies containing elements of both mid-stage and late-stage trials—it plans to start in patients with two unspecified cancer types in the first half of 2014. Karyopharm also wants to run two mid-stage studies of patients with certain solid tumor types next year as well. Karyopharm also has a drug candidate called verdinexor, a version of selinexor for dogs with lymphoma, in its portfolio. That drug is further along than selinexor—it’s in Phase 2 development, and the company has noted in its IPO prospectus that verdinexor’s success is critical to the success of selinexor. If verdinexor fails, Karyopharm may need more data to support the approval of selinexor.